Succulent golden chicken fried in a sweet & savory sauce. 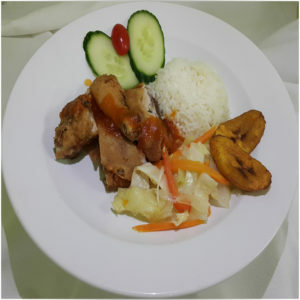 Served with rice, steamed vegetables and plantain’s. Juicy tender moist chicken, with hints of sweetness, and savory flavors.